AMSOIL Diesel Recovery quickly dissolves gelled fuel, thaws frozen fuel filters and reduces the need for a new filter, saving both money and an inconvenient trip to a parts store. Performs well in all diesel fuels, including ULSD, off-road and biodiesel. Cheap insurance against frozen fuel. 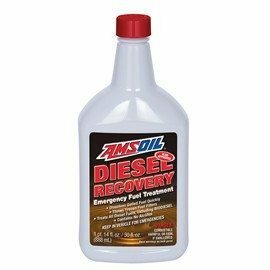 AMSOIL Diesel Recovery (DRC) is an emergency diesel fuel treatment that dissolves the wax crystals that form when diesel fuel has surpassed its cloud point. Diesel Recovery liquefies gelled diesel fuel and thaws frozen fuel filters, avoiding costly towing charges and getting diesels back on the road. Diesel applications operating in extremely cold environments face some unique challenges. As the temperature drops, wax naturally found in diesel fuel begins to form crystals. The point at which wax crystals form is known as the cloud point. These wax crystals can eventually clog the fuel filter and starve the engine of fuel, preventing it from starting or even stalling out a running engine. 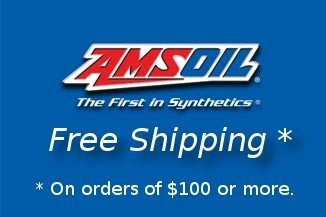 AMSOIL Diesel Recovery quickly dissolves gelled fuel to allow the operator to continue driving with minimal downtime. Diesel Recovery separates the molecular bonds of wax crystals that have agglomerated in diesel fuel. It thaws frozen fuel filters and reduces the need for a new filter, saving money and preventing an inconvenient trip to an auto parts store. The marketplace offers many different diesel fuels, all with varying quality. AMSOIL Diesel Recovery performs well in most diesel fuels, including ULSD, off-road and biodiesel. Over extended use, alcohol has a tendency to degrade components of some fuel delivery systems. 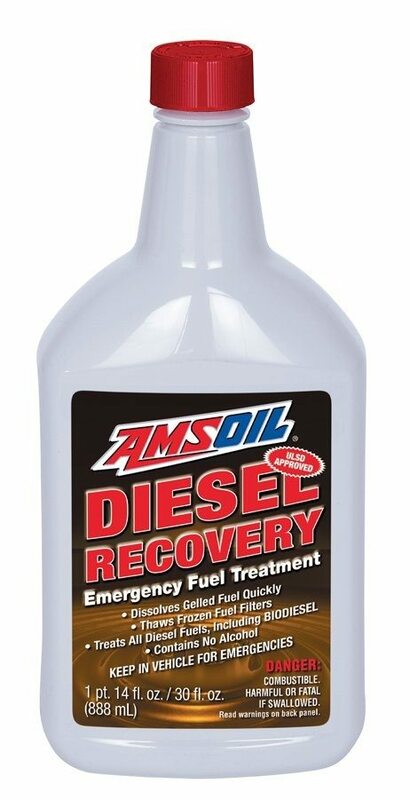 AMSOIL Diesel Recovery contains no alcohol, making it safe for repeated treatments. In addition, Diesel Recovery is non-corrosive and contains no chemicals that interact with fuel system components. Corrosion can damage fuel system components and lead to prematurely-clogged fuel filters. Diesel fuel quality varies from one filling station to the next, and low-quality fuel can have a cloud point as high as 40°F. A bottle of Diesel Recovery in the glove box is cheap insurance against being towed to a service station or getting stranded somewhere in subzero temperatures. Remove the existing fuel filter. The filter can be reused, or a new filter can be installed. 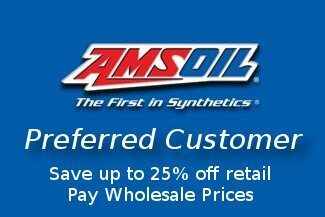 Fill the replacement fuel filter with AMSOIL Diesel Recovery. Add the remaining Diesel Recovery to the fuel tank. Start the engine and allow the fuel system to circulate until full power has been restored.